This is a program of music where the subject of the texts is love: let us imagine a feast in an ancient noble manor with an audience of amateurs. Here you find some of the beloved poets of the early XVII century: Gabriello Chiabrera, Giovan Battista Guarini, Ottavio Rinuccini, Francesca Degli Atti Gonzaga, Ansaldo Cebà andFerdinando Gonzaga himself. 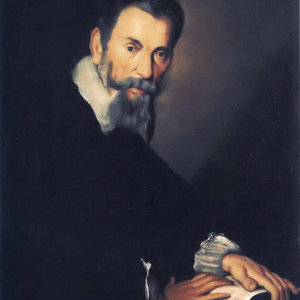 Love and beauty are praised both in the lighter music of the Scherzi Musicali, and in the deeperrand more moving madrigals of the V book by Monteverdi, where, for the first time we meet the harpsichord. The three solo madrigals render even more emotional the recital, especially “Ed è pur dunque vero” where you find betrayal, deception and betrayed faithl. The intense expression of these texts is alternated with illustrious sonatas (Castello was the leader of the instruments at St. Mark’s in Venice). The ciaccona by Merula is an introduction to the vocal one of “Zefiro torna” by Monteverdi. The title of the program is taken from a treatise by Cesare Negri, published in Milan in 1602: the program is a sequence of some of the most refined pieces, both vocal and instrumental that give a significant idea of the venetian musical culture in the early XVII century.